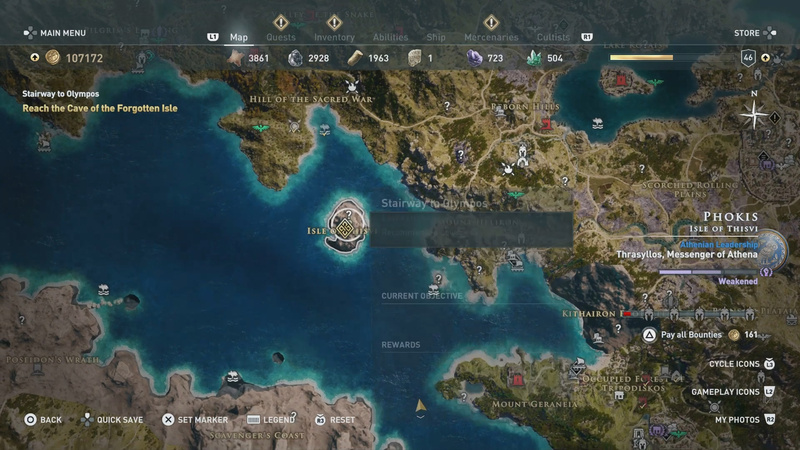 As you progress through the main story of Assassin’s Creed Odyssey, you will arrive in the mythological city of Atlantis. In Atlantis you meet your (real) father and he tells you he needs your help. Basically there are 4 artifacts throughout Greece that must be returned to him to seal Atlantis. 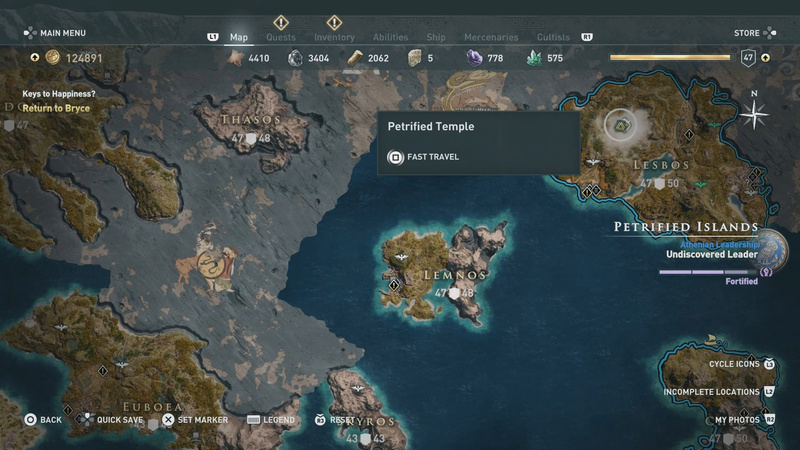 This guide will show your the locations of the 4 artifacts as well as tell you how to complete The Gates of Atlantis quest. Let’s get started. You can find the entrance to Atlantis on Thera. You will need to complete a mirror puzzle to gain entrance. Return the Artifacts to Atlantis. One Artifact is in Boeotia (Sphinx). One Artifact is in Kythera (Cyclops). One Artifact is in Lesbos (Medusa). 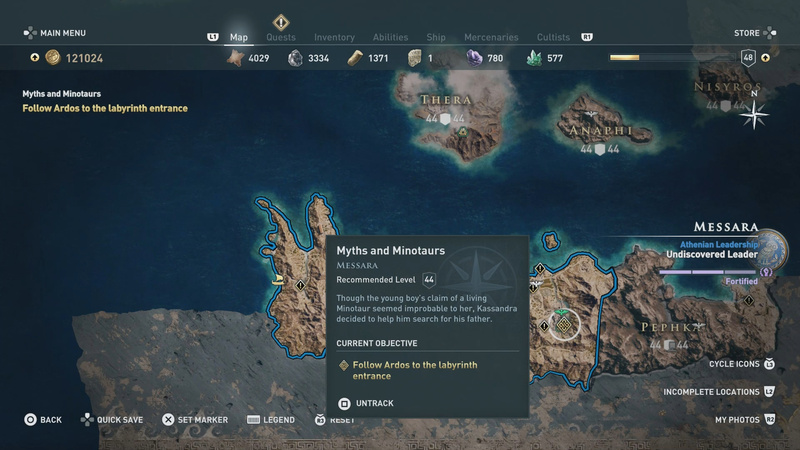 One Artifact is in Messara (Minotaur). Keep in mind that Medusa is a level 50 boss fight, so this is basically an end game side quest. Be geared accordingly. Where is the Artifact in Boeotia? You will find the Sphinx at this location. The Sphinx will make you answer 3 riddles. Lore of the Sphinx (Boeotia). At the end of the Awaken the Myth mission, you will arrive come face to face with the Sphinx. At this point will need to solve 3 riddles to get the artifact it is guarding. Where is the Artifact in Kythera? 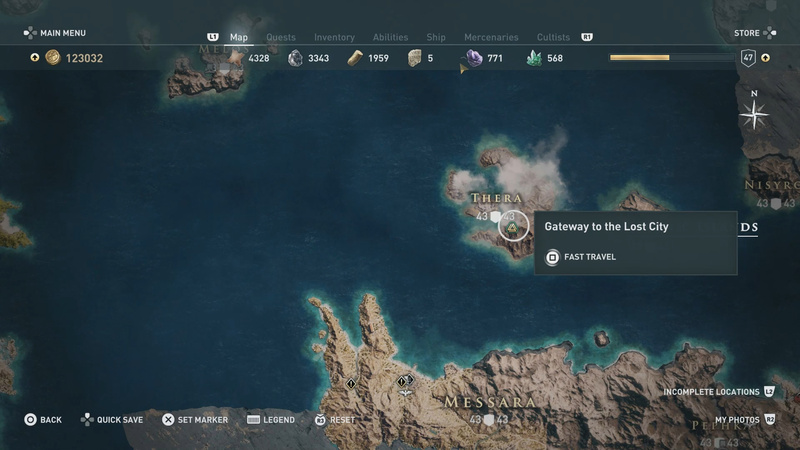 The last quest in this storyline will take you to the Forgotten Isle. Here you will find the Cyclops. A God Among Men (Kythera Island). Left to Dye (Kythera Island). Stairway to Olympos (Kythera then Forgotten Isle). 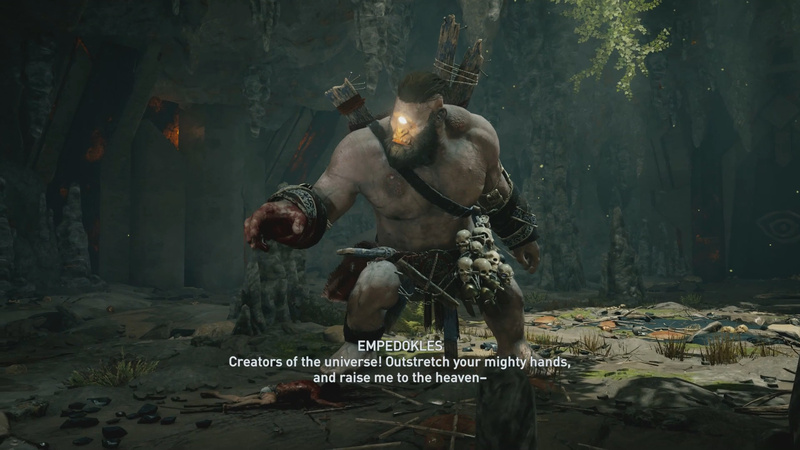 When you reach the Stairway to Olympos side quest, the character of Empedokles will tell you to meet him on the Forgotten Isle. After you reach the Forgotten Isle you must journey deeper inside to reach the Cyclops. When the Cyclops is killed, you will receive its artifact. You will find the Lesbos artifat in the Petrified Temple. 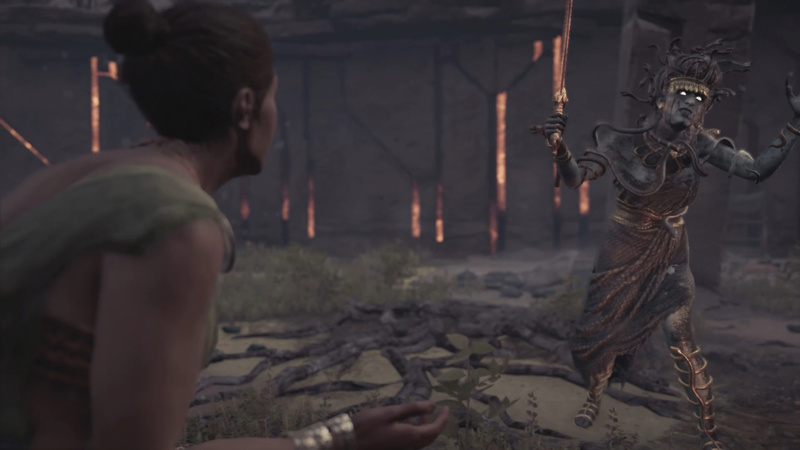 The Medusa fight is one of the harder fights in the game. Romancing the Stone Garden (Lesbos). Heavy is the Spear (Lesbos). When you complete all of these quests, you will be taken to the Petrified Temple. Inside the Petrified Temple you will face off against Medusa. For killing the Medusa you will unlock one of the artifacts you need to seal Atlantis. Where is the Artifact in Messara? You will need to complete a few missions before figthing the Minotaur. The Minotaur is a tough fight. Be ready! Of Minotaurs and Men (Messara). Once you’ve gotten to the end of the He Waits quest, you will enter a Labyrinth. 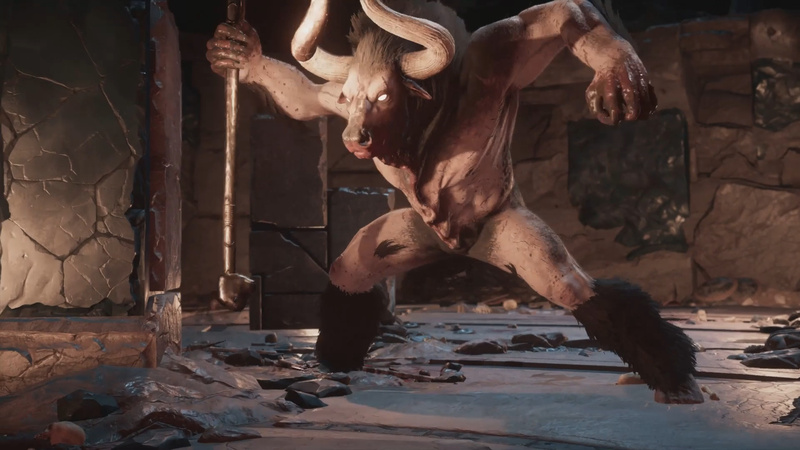 At the end of the Labyrinth is the Minotaur. 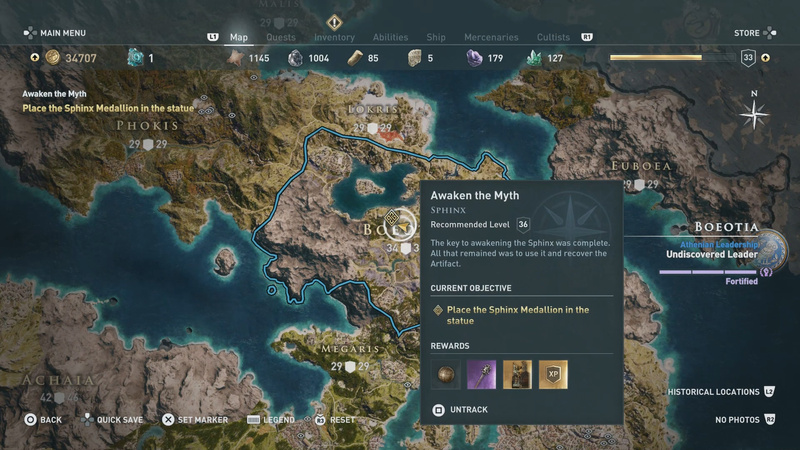 Defeating the Minotaur will earn you another artifact needed to seal Atlantis. Once you’ve collected all 4 artifacts listed above, make your way back to Atlantis. Take all 4 artifacts and place them in the 4 pillars around Pythagoras. Once all 4 artifacts are in their rightful sockets you will get a bunch of lore dumped on you from a Alethia. 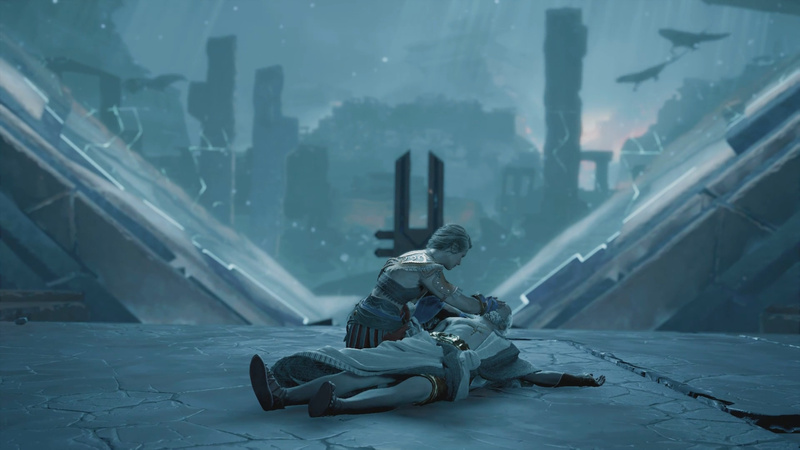 Once Alethia is done talking speak with Pythagoras for more lore. Pythagoras will tell you that he can’t seal Atlantis. After some arguing, you eventually convince Pythagoras to seal Atlantis off. To do this walk up to the console. This will trigger a present day sequence. Line the mirrors up as shown here to get the light to the cube. In the present day, go up to the same console to trigger a cutscene. 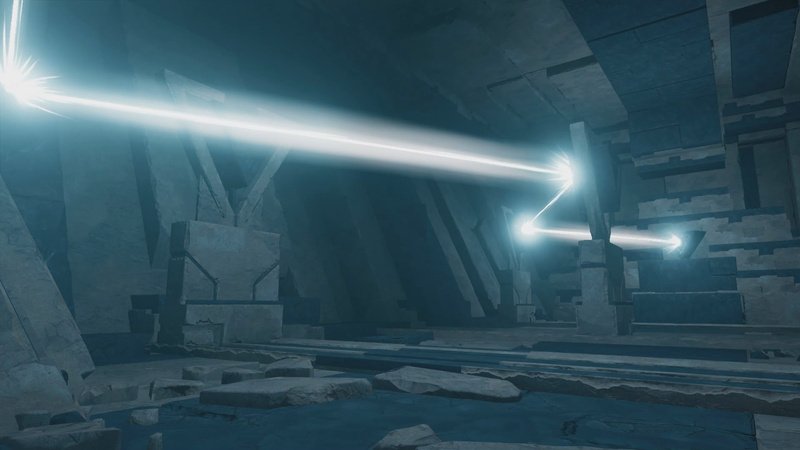 During the cutscene you learn there is a beam of light missing. You need to fix this. Climb the right wall into the opening. Go into the opening to find three mirrors. Turn the mirrors so they match the screenshot above. This will send light to the room. Go back to the room with the globe to trigger another cutscene. 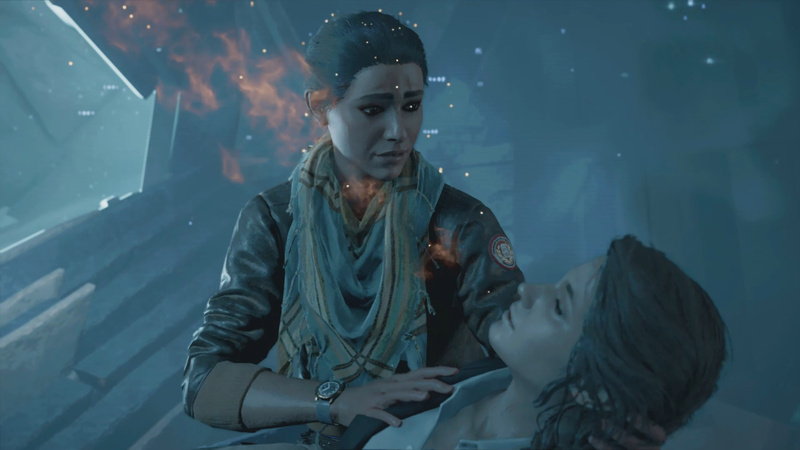 Completing this story arc unlocks this ending below (via Dan Allen Gaming). After you’ve seen the ending, you will return to Greece and can free roam again to your heart’s content. What did you think of the Atlantis ending? Let me know. Thought on our The Gates of Atlantis Guide? Let us hear them in The Pit below. They need to save that for DLC content. Lol. Which of the mythical creature fights was your favorite? I liked the Medusa personally, as it has the most going on. 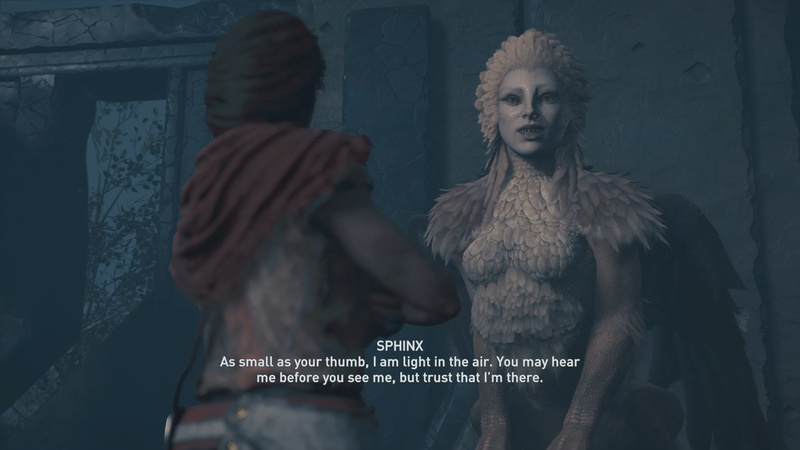 I will say I wish Ubisoft went the Sphinx’s route on more than one fight, since it was a nice change of pace from the interaction with every other mythical creature being a boss fight.